Sometimes you need a little nudge in the right direction – something to help you push ahead when things get tough. 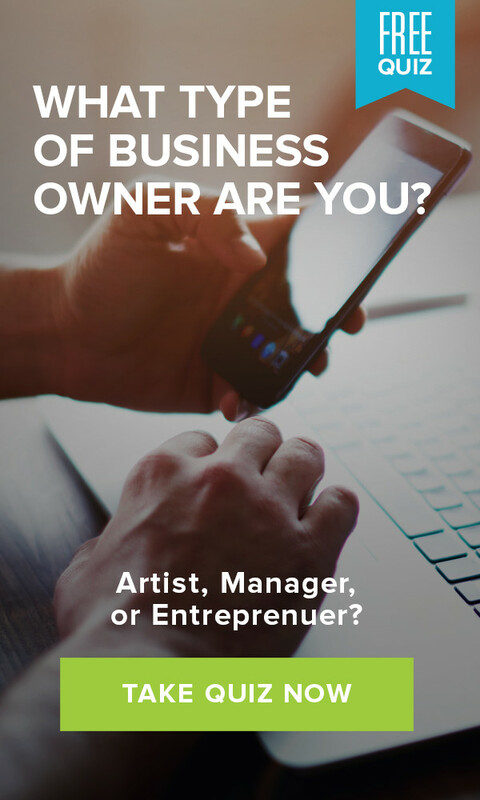 It’s easy to refer to strategies and strictly follow your business roadmap, but sometimes you don’t need numbers or outlined steps to feel like you can do something great. Instead, what you’re looking for is that more emotional pull, that reminder of why you do this work in the first place. Inspiration is a critical part of every business operation. We’ve collected these inspirational business quotes from Tony Robbins to help get the fire burning under you again. Too often we view change as something huge and unattainable. In business, that often means we assess where we are, look ahead to where we want to be and feel discouraged because there’s a major disparity between the two. Managing it seems impossible; therefore, we don’t try. But change doesn’t need to be a gigantic, unfathomable force that you have to master. Instead, you can implement small changes one at a time, and let their cumulative benefits add up. It is the incremental, day-to-day process of optimization that fuels revolutionary change. Each day at work, focus on little changes you can make right now as you maintain a long-term goal for larger changes. What can you do today to get more organized? Set manageable goals that inspire you to take action instead of creating lofty, unattainable goals and giving up when you don’t meet them right away. How can you outsource small tasks so you have more time to focus on other projects? If you make this daily commitment to optimization, you will see your long-term goals realized as well. As far as business quotes go, this one is full of good advice. Your best salespeople are your customers and your employees. A raving fan will naturally sell your business because they have had a positive encounter with your company. They speak from their own experience, and other potential customers will sit up and listen if they’re singing your praises. That’s why the often unseen happy customer is your invisible teammate in your marketing mission. But happy customers are only half the story. Look at your company culture and determine if you’re providing fertile ground to grow your own raving fans. Make creating and sustaining raving fans part of everyone’s job description. Whenever a team member provides truly above-and-beyond or innovative customer experiences, tell everyone on the team so that everyone understands how much raving fan culture matters to your company. That way, you not only reward that person for excelling but you also encourage those around them to do the same. 3. Are you leading, or are you managing? Many inspirational business quotes focus on leadership, for good reason. Good leadership can steer a company anywhere; poor leadership that is too embroiled in managing will end up pushing everything out of alignment. Leaders inspire their entire company and show each employee how much is possible. If you’re an insightful leader, you can get more out of yourself every day, which teaches your team to do the same. You may even prompt new leaders within your business to advance their potential. Are you concerned about the goals you’ve set for your business, or are you still working toward setting some? Don’t limit yourself based on what already exists on the market, in your industry and in the business world. Even if you have an action plan underway, continue to look for ways you can innovate and improve. Some of the best leaders worked to improve existing ideas instead of creating new ones. Have you ever turned a blind eye, even for a day, to a problem in your business that you just didn’t want to address? Remember that your business will only survive and thrive if you banish ignorance. No problem is insurmountable if the right remedial tactics are deployed in time. Instead of shying away from an issue, find a way to tackle it that you’re comfortable with. Issues with scaling? Find a solution, whether it’s hiring an expert or using technology to streamline operations. Having internal company culture problems? Address it with your team and deal with the conflicts together. Determining your goals is important – but you must be willing to work to achieve these goals. Posting business success quotes all over your office walls will inspire your group to work hard, but you also need powerful growth strategies to get your business to where you want it to be. The blending of ambition with a sound business plan is what sets the most successful companies ahead of others. This is what sets apart businesses that succeed from those that fail. Each time you experience a decision-making crisis, stop to ensure that your goals and the decision itself are in line with your core values. Core values should inform each step of your business plan and every strategy you implement. Why do you do what you do? Who are you serving? Draft a business map that incorporates these values and refer to this document whenever you feel you’re veering off course. Your true purpose should be at the center for every business decision you make. Why are you working so hard? Do you want to provide for your family, give back to your community, find a way to better the world for future generations? Whatever your reason for pursuing success, keep this core value at the center of all that you do. That way, no matter what successes or failures come your way, you’ll know that you did everything you did for the right reasons. Looking for more inspirational business quotes? 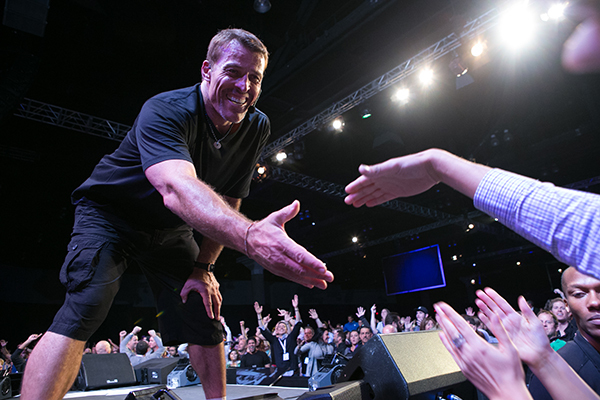 Find more Tony Robbins wisdom in The Screening Room.